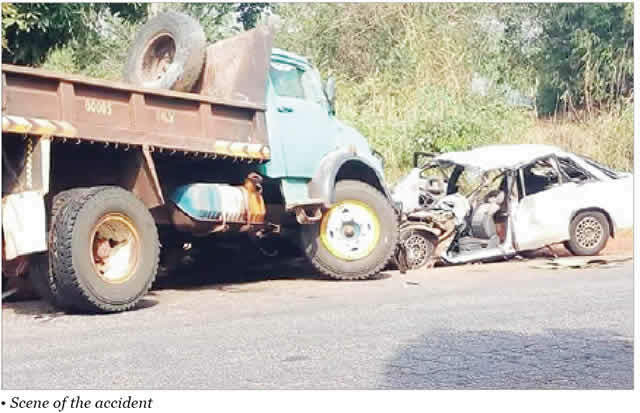 According to a Punch Metro report, serious tragedy struck on the Benin-Auchi Expressway in Edo State on Wednesday after a 17-year-old pregnant r*pe victim, her uncle, an advocacy officer identified as Promise Ezekiel, and their driver, Paul Opashe, were killed in a road crash. It was learnt that the victims were travelling in a car to the Evbuoraria Magistrates’ Court, Benin, where judgment was to be delivered in a case involving the teenager’s father when a truck rammed into their vehicle. Punch Metro reports that the victim, her uncle, the NGO worker, and the man who drove them did not reach the court. Usiobaifo told Punch Metro on the telephone on Thursday that they all died in the crash.